The big energy stories in the U.S. recently have been the shale oil and gas revolutions and America’s estimated 100-year supply of natural gas. Both trends would seem to be bad news for coal consumption. Yet while coal faces challenges in the U.S. from cheap natural gas, it seems the rest of the world can’t get enough of the stuff. 1) By 2017, coal will come close to surpassing oil as the world’s top energy source, the IEA projects in its annual Medium-Term Coal Market Report (MCMR). Coal demand will increase in every region of the world except in the United States, where coal is being pushed out by natural gas. 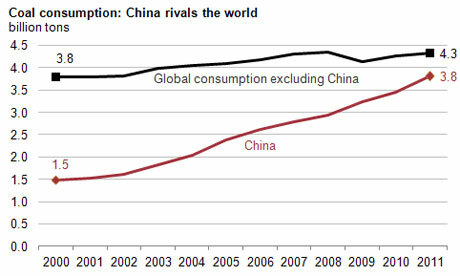 2) Not surprisingly, China and India will power the growth in coal consumption over the next five years. China already represents just under half of global coal consumption and the IEA projects the Asian powerhouse, now the world’s biggest carbon emitter, will easily surpass the rest of the world in coal demand by 2017. 3) The world is expected to burn an additional 1.2 billion tons of coal per year over current levels by 2017, according to the IEA. That’s equal to the combined consumption of two major consumers – Russia and the U.S. – in 2011. 4) Indonesia has become the largest coal exporter in the world, eclipsing long-standing leader Australia as the largest exporter on a tonnage basis. 5) All this is very bad news for projected carbon emissions, which nearly everyone believes contributes to global warming. 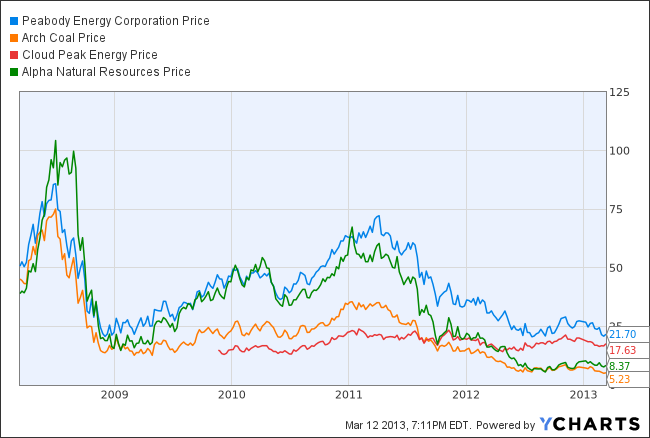 CCS technologies are not taking off as once expected, which means CO2 emissions will keep growing substantially. Without progress in CCS, and if other countries cannot replicate the US experience and reduce coal demand, coal faces the risk of a potential climate policy backlash. Translation for those of us not working in the coal industry: Gulp.